I don't even have a nintendo console and I still buy those things. Kmart has a bunch on clearance this week for $10 including ROB, which I'm after, but I went to 4 or 5 stores yesterday and he was all gone. Target here is pretty much keeping Infinity figures on sale too. Wait ... you still have Kmarts? Kmart still exists in the US brah. Shocking, I know. Barely. My local Kmart is not doing great. To the Americans who haven't attended PAX AUS & gone wandering afterward, Australia has Kmart stores, we also have Target. We've had them for years, a local corp bought the name rights and's run them ever since. Fish, I remember seeing ROB on the shelf at some local Kmarts & the odd Target. I just can't remember at what ones as my job (for the double-headed Yao guai) takes me to so many of them. "I'm heading down a dark path". 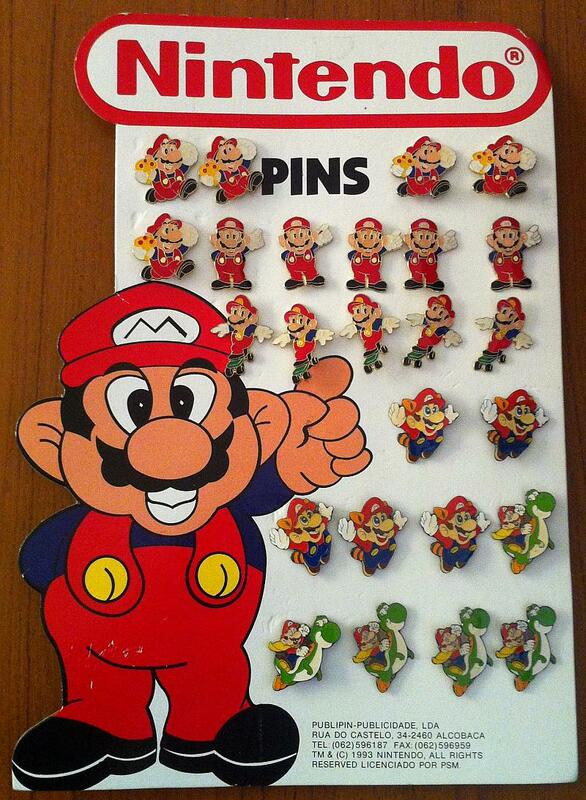 Wow, I remember having a bunch of those Mario pins as a kid. My mom bought a few packs for me from Kmart when they got clearanced if I recall correctly. Figured I might as well put my other pins on the backing once I graded the new ones and selected ONLY THE BEST for my set. The new ones are quite a bit smaller than the first set. Apparently that ^ post has been sitting here in drafts and wasn't actually posted 3 days ago when I wrote it. Big W has a 20% off sale on Amiibos right now. Picked Resetti up for $13.60. Gonna clean that tennis mario once @Hingo reminds me how. Looks like the enamel is damaged. This is clearly a result of the pin being stored in a plastic box. OH MY GOD A DRAGONITE. I just bought $100 worth of these little guys off eBay over the weekend, but I didn't see a Dragonite. I'm going to have to keep an eye out for that one. I'll post a picture of the collection I amassed once they all arrive. I've bought a Mew and have a Celebi coming, I need dat red Mega Gyarados though... and the mega Charizards. Yea, I want to get all the legendaries they are releasing for the anniversary. That's awesome, thanks. I stopped collecting the cards years ago, though, and the sets are between $25 and $30 here (Australia) so I'll probably just look out for the pin online by itself. I ended up getting a Mega Blaziken for $3.50, which is way better than $25, heh. I just had a super quick look on eBay and it looks like the Dragonite set hasn't come out here, since all the listings are from the US at the moment.  Maybe in a few weeks or so. There are soooooooo many Pokemon pins. They have been doing special tournament pins and some TCG pins for almost 15 years. The new sets(similar to pinny arcade) have been going since like 2011/2012. I have yet to find an kind of curated list of pins though. Like @Asphoron said, there's really not a big list of the ones that have come out recently. 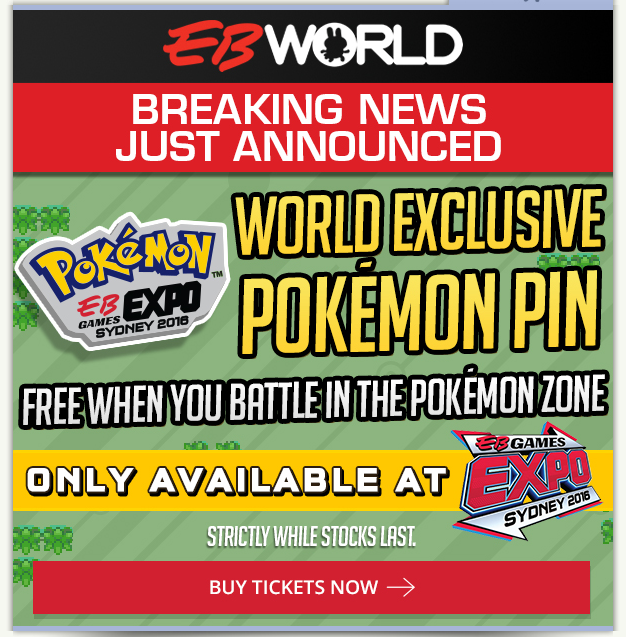 They're being released with sets of Pokemon cards at the moment, and some of them seem to come in pairs, like, I could only find the packs that had Mega Swampert at Kmart on Saturday, but I know that the other pin that could be in that set is Mega Blaziken. There were plenty of Mew ones, though. Although of those I've not seen Gengar, Kangaskhan, or Absol. Most are super easy to find on eBay Aus, just search 'pokemon pin' and there are a bunch of lots. But if anyone bids up the Mega Rayquaza I bid on I might have to fight someone. I wish I'd noticed these before now! The Yveltal on eBay is a bit more than I wanted to pay for these, because I know if I get into the GOTTA CATCH 'EM ALL mindset I'll spend... way too much. The Pikachu+Togepi is damn near the perfect pin for me, I will attempt to acquire one. Granted it has a pin post back, god I can't stand "pins" without posts. The Pikachu/Togepi one isn't actually one I've seen from this set, it's been mostly mega evolutions and one for each legendary that they're giving away (e.g. this month is Celebi, last month was Mew). That one looks pretty old. For those who are interested, Tee Fury is offering a limited "greatest hits" pin set. An odd selection though. Edit: They are also offering one off pins in their "fan fury bundles". calvin and hobbes and stitch and bb-8? That's all kinds of win alone. I want that stitch/bb8 so bad but I am in no way paying that much for just one pin. 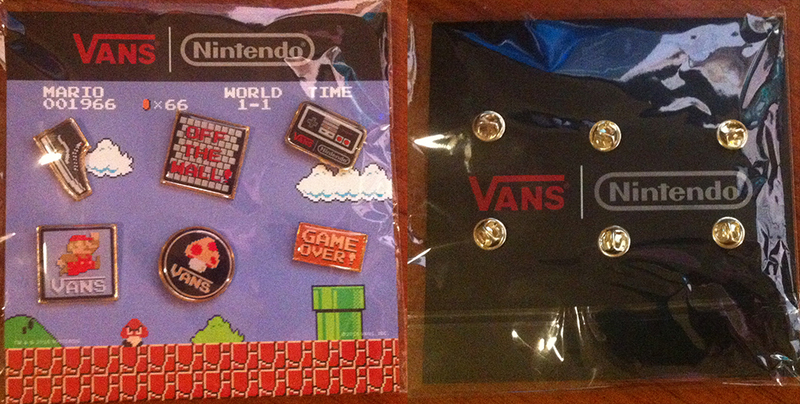 I wanted three of the pins so wasn't an unreasonable price. Edit: I don't know how to forum. You could try touching it up with enamel paint, then clear varnish to protect it. Was checking out the cheap $10 amiibs at Target today and they actually have a few on super duper sale for $4 each. Grabbed Bowser Jr, Mii Brawler and Olimar for $12 total. While it may be unimpressive. I love location pins, especially when date specific..makes them a rarity to have around. 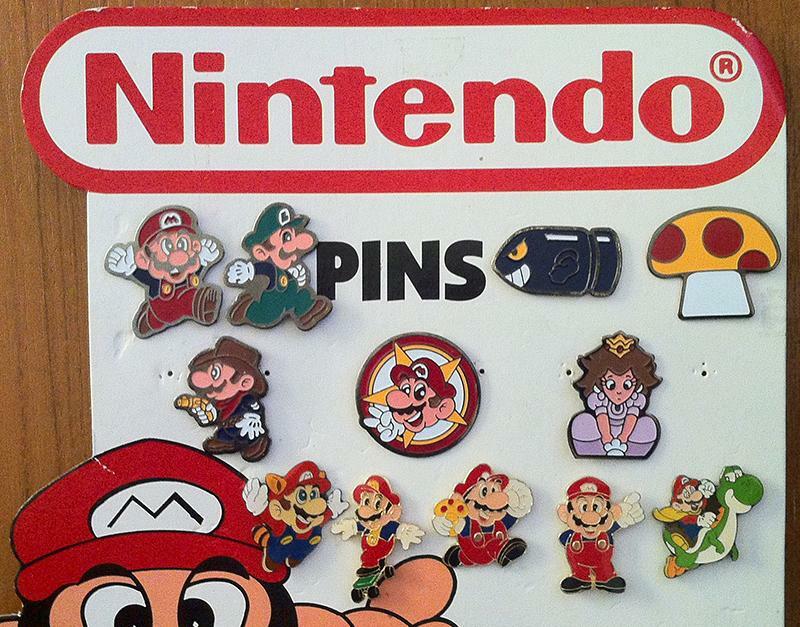 Got some of these today, for those wondering if they were pins or buttons. Have to wait for my size 13's (hello ladies ( ͡° ͜ʖ ͡°) ) to come in though.